Chico, California-based PAUL components has quite the knack for dreaming up simple products that just plain work. 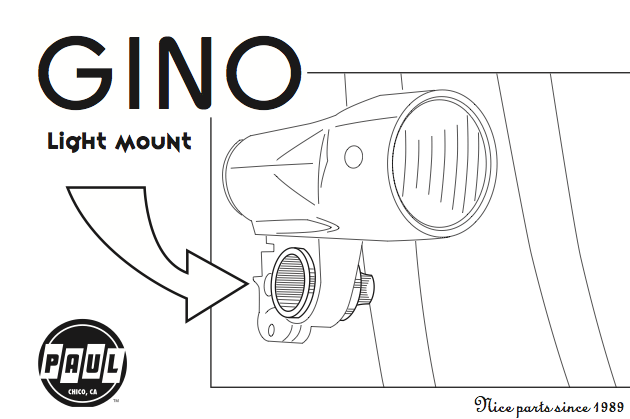 Simple solutions for complex problems is the name of the game, and the Gino light mount is mighty illustrative of that. 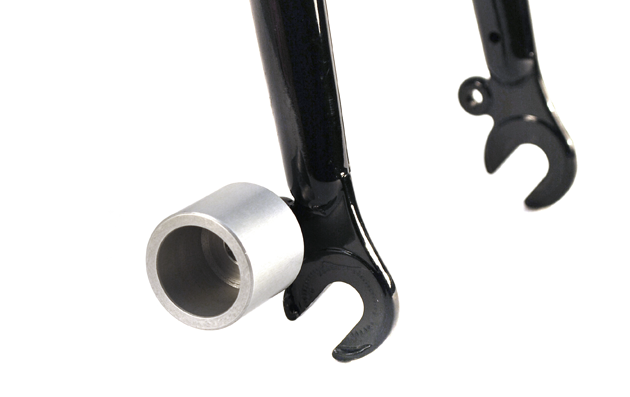 Fitting just about any braze-on or fender mount that accepts an M5 bolt, the Gino allows you to mount your light closer to the road, greatly reducing the angle of the beam. This better distributes the light and illuminates road features such as bumps and fissures much more effectively. The Gino mount comes in two finishes (Black and silver) and, for the weight-concious, tips the scales at 30 grams.